Mosbeau takes pride in developing exceptional products that are proudly 100% Made in Japan. Through its continuous innovation, high standards of quality, safety, and efficacy; it has surpassed the meticulous standards of dermatologists and is now being used by millions of women worldwide. From clinical research, ingredient sourcing, product development, manufacturing and packaging, Mosbeau offers the world only the best in skin whitening, anti-aging, skin cell renewal, health and general wellness. Each product is packed with valuable, rare, and potent ingredients developed from in-depth studies and produced using advanced technology. Becoming a global brand did not happen overnight. 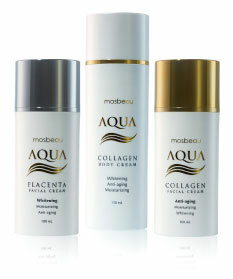 Mosbeau found its niche by answering the beauty aspirations of its customers which other brands have failed to offer. Because of that, Mosbeau not only captured their loyalty but was also recognized by different award-giving bodies. Mosbeau Placenta White Advanced Food Supplement is the company’s flagship product. It’s the first and only supplement with Japan-patented Marine Placental Protein & Horse Placental Protein plus 10 active ingredients intelligently combined to produce a product incomparable to any other in the market today. Yielding efficacy beyond expectations, this established Mosbeau as the most widely-recognized producer of 100% made in Japan Placental Protein-based products which are clinically proven safe and effective. Mosbeau is also known for its leading product, Mosbeau Placenta Collagen Jelly Food Supplement. It perfectly combines the power of L-Cysteine, Horse Placental Protein, Japan-patented Marine Placental Protein, and Fish Collagen that work together to keep the skin youthful, firm, and glowing. It comes in ready to eat, mango-flavored jelly sticks perfect for women on-the-go. It’s also low in calorie & low in sugar so it doesn’t affect the body figure. 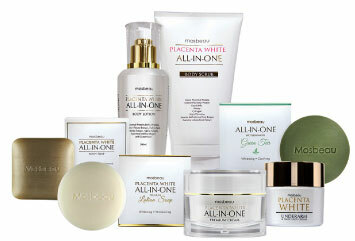 The Mosbeau ALL-IN-ONE Series gives all the benefits the skin needs to stay renewed, bright, young, & beautiful. Each product is carefully designed for multi-functionality to give the skin complete pampering each & every use. 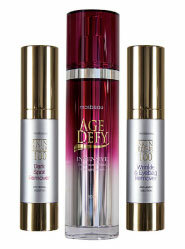 This is Mosbeau’s revolutionary skin care line, unique among all topical textures; it’s the smoothest, fastest absorbing, & deepest penetrating yet. It’s designed to flood the skin with moisture & coat the surface to lock in water for longer hydration with added whitening & anti-aging benefits.